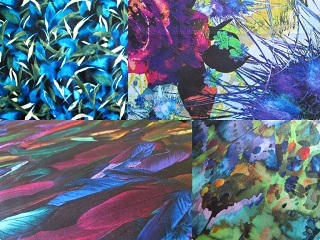 Superb quality viscose/lycra stretch, like liquid, with a stunning hand and drape. From the French mills, bought in the NYC garment district. 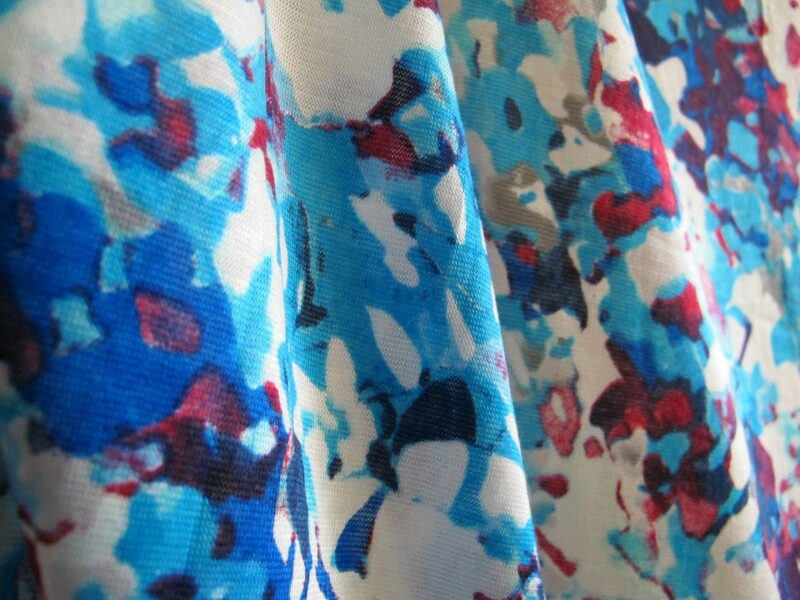 This is a super-wide fabric at 180cm. The length is 2.3 metres. Unfortunately there is a hole in about the centre of the fabric, about 50cm in from one of the ends. I have shown this fault in the images in the collage. I will mark the price accordingly. 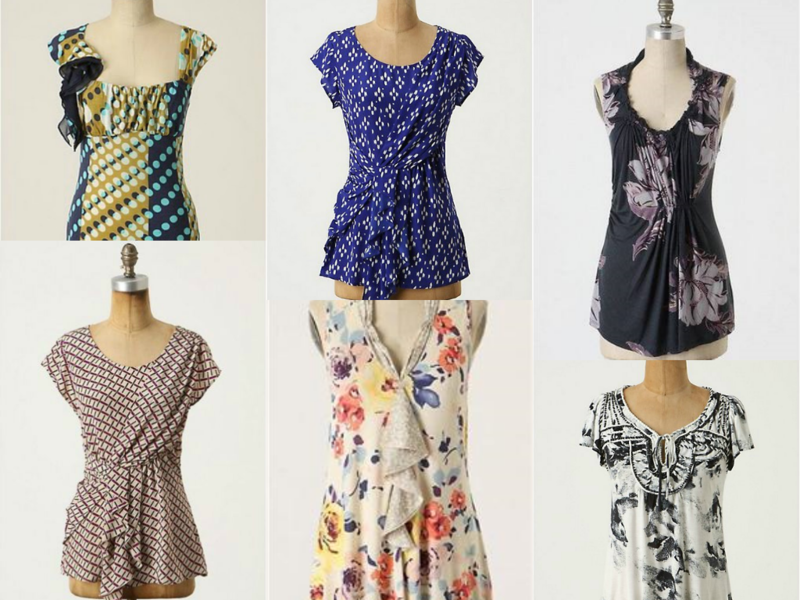 I’m a huge fan of stretch fabrics and take a lot of inspiration from the sort of stretch tops that Anthropologie produces. These sort of tops you can dress up or down. They can carry you through all seasons, just thrown on a little cardi when it is a bit cooler. 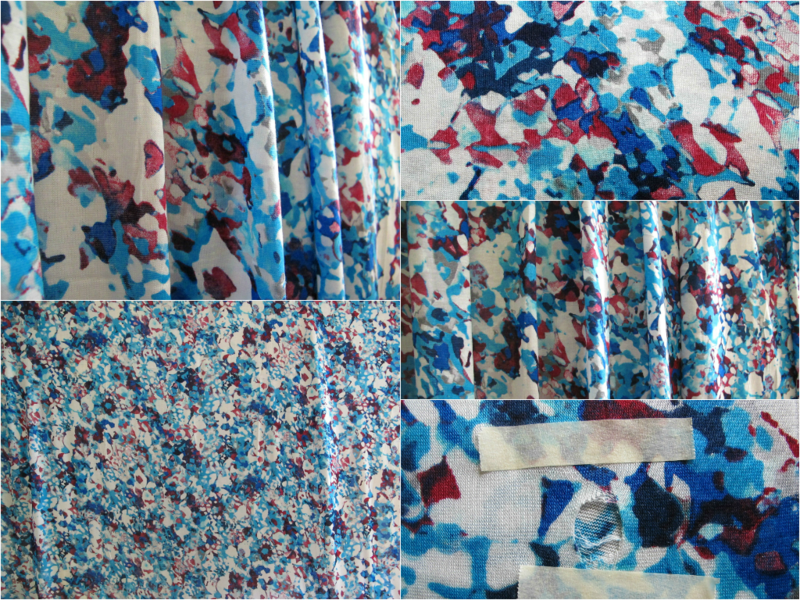 I’ll price this viscose/lycra at $23 a metre. Because of the flaw, I will only charge for the length of fabric up to where the hole appears, so that will be a 2.3 metre length (the fabric is perfect either side of the hole) but only 1.8 metres charged. Total price $41. I can post this in a small satchel, $8.25. Please see here for full details of payment and posting. if interested, just click the email link below.